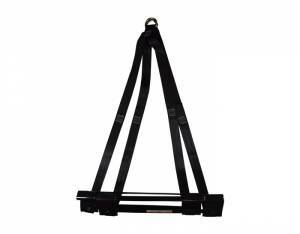 RIVA Davit Slings feature high strength nylon straps and stainless steel lift ring. Easily attaches to your watercraft via non-slip, non-scratch, rubber coated plates that securely lift the craft under the rub rails. Designed to use with a single davit.